Rear-End Car Accidents: Who’s At Fault? In this age of distracted driving, “rear-end” car accidents more common than ever before. Though it’s most always the tailing driver’s fault, this must be determined by the circumstances surrounding the collision. If someone hits you from behind, it is most always their fault, ­regardless of the reason you stopped. One basic rule of the road requires that you be able to stop safely when a vehicle stops ahead of you. So, as the tailing driver, if you ­can’t stop in time and rear-end the vehicle in front of you, you are not driving as safely as you need to be under the circumstances. Another telling part of a rear-end accident claim is that damage to the vehicles involved usually proves the cause of the accident. If the other car’s front end and your car’s rear end are both damaged, there’s no doubt that you were struck from the rear. Rear-End Accidents Involving Multiple Vehicles: Who’s At Fault? In some situations, both you and the car ­behind you may be stopped when a third car runs into the car behind you and pushes it into the rear of your car. 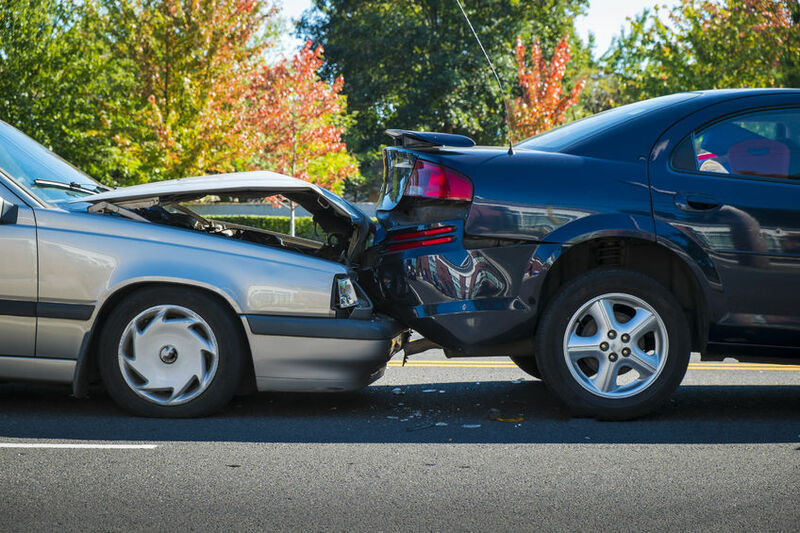 In that sort of “chain reaction” crash, it is the driver of the third car who is most likely at fault and against whose liability insurance you would file a claim. If you or a loved one have been the victim of a rear-end car accident, make sure to contact us to speak with one of our experienced attorneys.